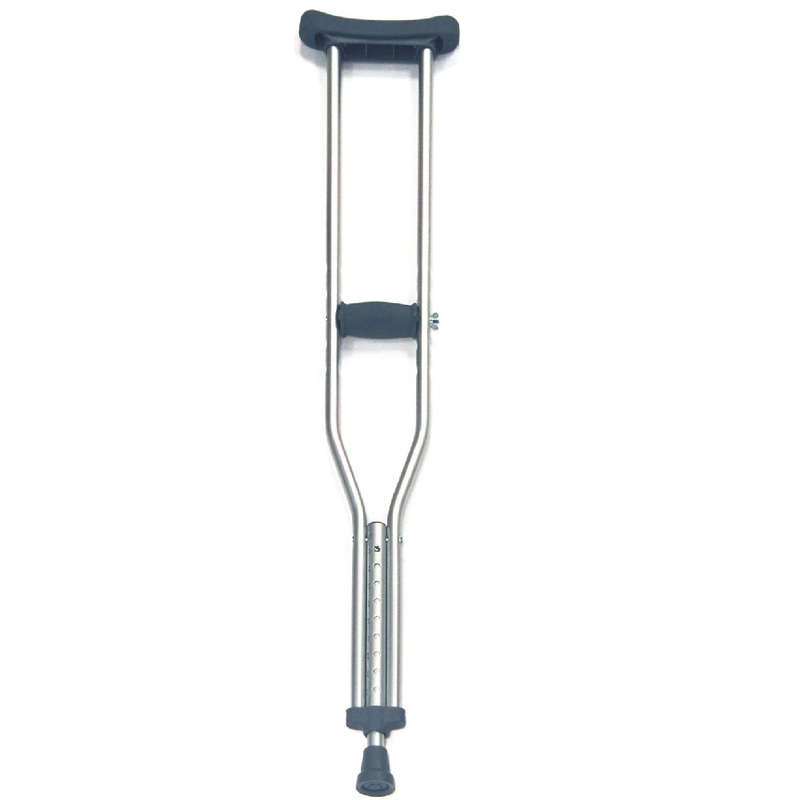 Roma Crutches Under Arm Aluminium for adult, is a mobility aid that transfers weight from the legs to the upper body. It is recommended for people who cannot use their legs to support their weight, for reasons ranging from short-term injuries to lifelong disabilities. Underarm crutches are used by placing the pad against the ribcage beneath the armpit and holding the grip, which is below and parallel to the pad. They are usually used to provide support for patients who have temporary restriction on ambulation.